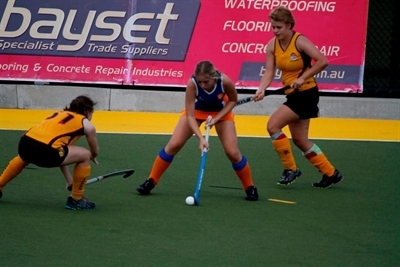 South West United Hockey Club is currently the largest hockey club in the western suburbs of Brisbane. We cater to all standards of hockey players aged 5 to 75 in both grass and turf competitions. 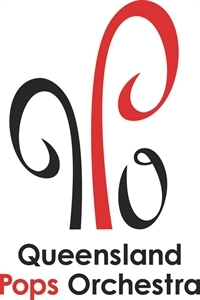 Our club was founded in the early 1970's and is based in the Graceville area of Brisbane however attracts and welcomes players from all over Brisbane. 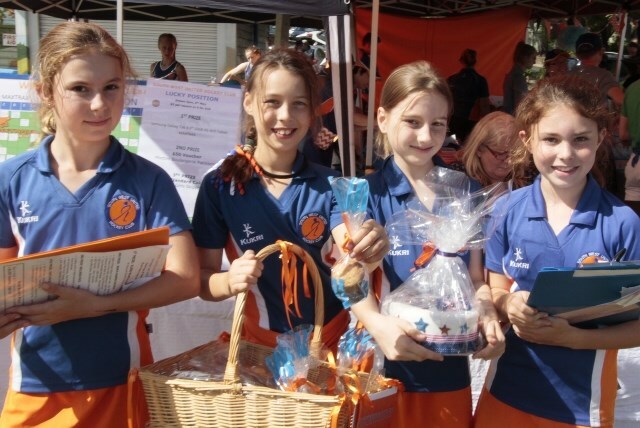 This club is truly a volunteer run organisation, with the local community gaining immensely from the hours of dedicated service by its volunteer administrators, coaches, managers and umpires. We currently have a membership of over 300 players that compete in Masters, Senior Turf, Senior Grass, Junior Turf, Junior Grass and U9 and U7 Rookey competitions. We pride ourselves on being a very welcoming and safe club and you will notice us for sure in our distinctive bright blue and orange uniforms and we're affectionately known as the Mighty Swooos. If you are interested in playing hockey at any level, please contact us to find out more on season trial dates and times. Want to know more about hockey? SWU are very excited to announce the appointment of Phil Jackwitz as not only our 2019 Division 1 Women’s coach but also as SWU Coach/Player Development Specialist. This is a very hands on role, where Phil will be running coaching clinics and junior player clinics (both grass and turf), exclusively for SWU members throughout the year with a major focus on junior athlete and coach development. He will also be rotating amongst our junior and senior turf and grass trainings to help our coaches so please make Phil feel welcome when you see him. Like so many others in our hockey community, Phil Jackwitz is a hockey tragic having played, umpired, and coached our great game. It was in 2012 though that Phil decided to shift his Hockey passion from being a hobby to being a profession, and he hasn’t looked back. Phil has since enjoyed stints at both the BHA; 2012 – 2015 and at Hockey NSW; 2015 - 2017. Phil boasts an Advanced Level Coaching Accreditation and a modest list of coaching successes at both the local and state level. In 2018, Phil joined the coaching ranks of South West United Hockey Club; dedicated to helping the club reach its goals. Division 2 will be coached by Tim O'Sullivan. Division 3 will be coached by Amy Gilmore. Division 4 will be coached by Brad Rogers. We will also be fielding as many Junior Turf and Grass teams as possible, again, depending on numbers. From the hardworking committee at South West United Hockey Club. Our first livestreamed game of the season for Div2. Only the exciting bits!! Goodlife Graceville is one of the first Goodlife Health Clubs in Australia, so we're part of the local community. We have a dedicated space for self-styled cardio and strength training, plus a cycle studio built for blood-pumping spin sessions. If the mood strikes you can also take a few laps in our outdoor pool. Ask a personal trainer to put you through your paces, we have an excellent team of men and women with specialist areas to help you achieve your goals. We understand the demands of family life and support our members in working their fitness regime into it, so we also have child minding facilities onsite. 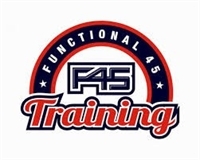 Fitter Futures offers world class functional movement and fitness coaching specifically designed for kids (ages 5+) and teenagers which is fun! We would encourage Club members to take advantage of our free trial class to come and try it out. It's a great way for players to improve their strength, fitness, agility etc. and will also help prevent injuries because we are ALL about coaching good movement patterns and sound mechanics, so our bodies learn how to move the right way. Just around the corner from training Pizza Capers Chelmer is perfect for post training dinner! "Gold Class Nails is committed to providing our clients with the best possible services so that you will look and feel amazing." 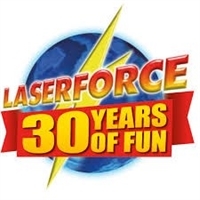 Creating fun since 1988, Laserforce Woolloongabba is Brisbane's original laser tag and the also the longest running site in the world. In addition to Brisbane's largest laser tag arena, Laserforce boasts a mega arcade floor with classic retro and modern games, as well as our Laser Labyrinth Maze Challenge.